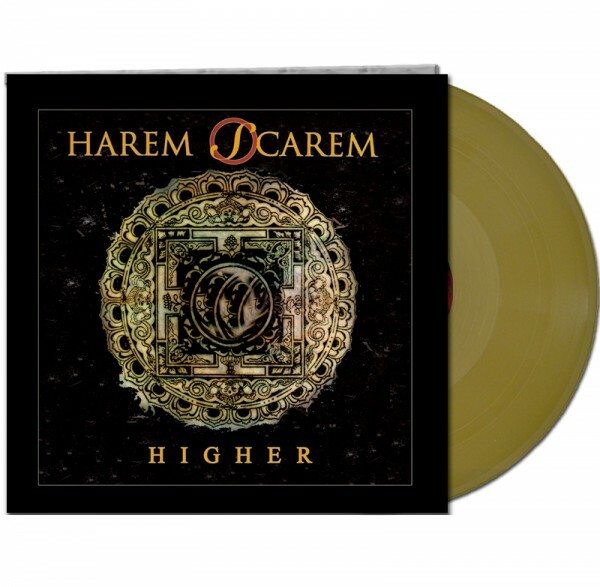 Product information "HAREM SCAREM - Higher - LTD Gatefold GOLD Vinyl, 180 Gram"
FOR FANS OF: Mr. Big, Night Ranger, House of Lords, Tyketto, Treat, Eclipse, W.E.T. Canada’s finest hard rock band, Harem Scarem were formed in 1987 by guitarist Pete Lesperance and singer Harry Hess, formerly of the heavy metal band Blind Vengeance. The lineup was rounded out by Darren Smith (drums) and Mike Gionet (bass). They recorded a demo in 1999 and on the strength of it, they were signed to Warner Music. Their self-titled album was a significant success in Canada and paved the way to the release of the heavier “Mood Swings” album in 1993, often considered the crown jewel of their early releases. Harem Scarem kept on releasing albums regularly during the 90’s, until they decided to ultimately change their name and music style to Rubber between 1999 and 2001. In 2002, the band came back to melodic hard rock with the milestone album “Weight of the World,” which was their first proper release in the European marketplace thanks to their newly signed deal with Frontiers. With the Italian label, Harem Scarem released another five original albums (not counting 2006’s “Human Nature” and the remake of “Mood Swings” in 2013, which marked the band’s return after a 5 years hiatus after the release of 2008’s “Overload”). Given the particularly prolific nature of the business relationship between Frontiers and the band, it was decided to make the band’s catalog available in an exclusive and limited edition box set, in cooperation with Warner Music who kindly agreed to license the band’s first five studio albums. The result is a mammoth box set inclusive of 13 studio records encompassing the whole discography of Harem Scarem with a gargantuan amount of rare, unreleased, and bonus tracks which make up a full bonus disc (in addition to original bonus tracks added to the individual albums). And on top of this, Frontiers and the band decided to add a special one time limited run of colored vinyls for the signature catalogue releases: “Weight of the World,” “Higher”, “Thirteen”, and the band’s last studio album, “United”. Harem Scarem are closing a huge chapter with this release and looking forward to beginning the next one! Darren Smith, Creighton Doane: drums. Related links to "HAREM SCAREM - Higher - LTD Gatefold GOLD Vinyl, 180 Gram"
Customer evaluation for "HAREM SCAREM - Higher - LTD Gatefold GOLD Vinyl, 180 Gram"